Sept. 2018 we rented a camper via Goboony and we made our first camper trip to Brittany in France. 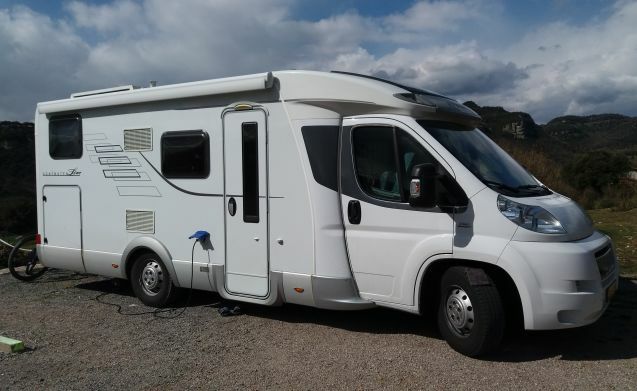 We wanted to try out whether traveling with a camper would be something for us. Well, we can say: a super experience! 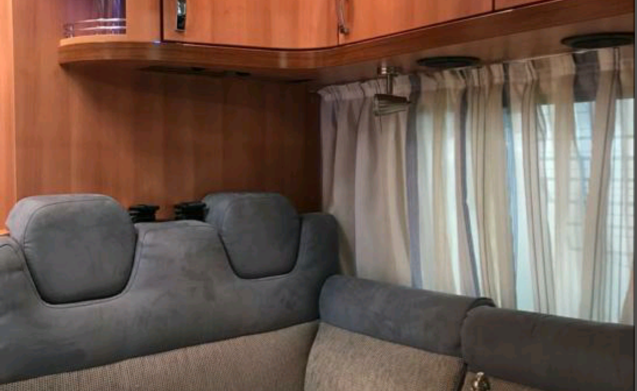 We enjoyed the freedom and convenience with traveling around a camper. 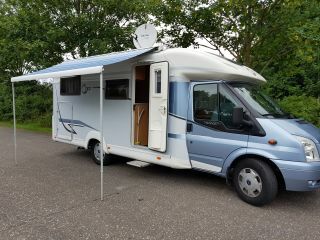 So good even that we have now purchased our own camper. 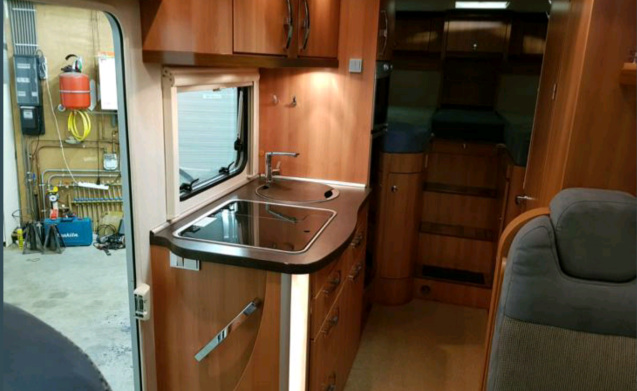 Because we wanted the same type of luxury camper, it has become a Hymer T 674 cl. 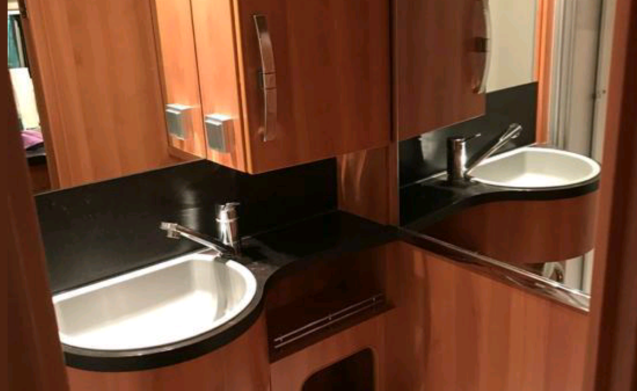 A beautiful camper with all amenities including. 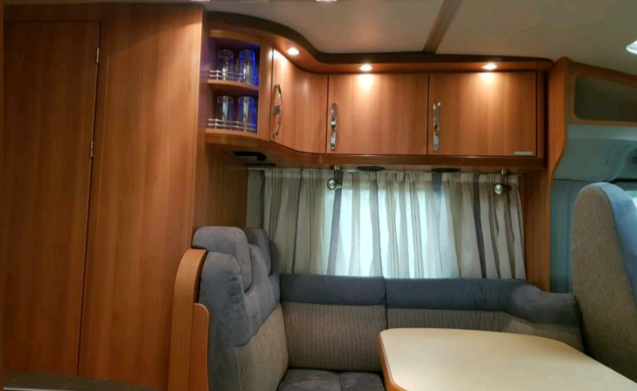 comfortable beds, plenty of cupboard space, a kitchen with large fridge, freezer and gas oven, solar panel, water heater, stove, large water tank, waste water tank, wet room with toilet, sink and shower, satellite dish with TV, reversing camara, navigation, radio CD with bluetooth. 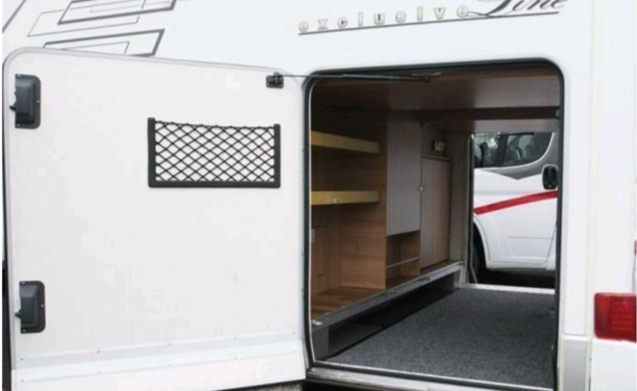 The camper has a bike rack suitable for 2 (electric) bicycles up to 60 kg. The large garage offers plenty of space for lots of stuff and stock. There are 2 chairs and a camping table. We use the garage at night as a sleeping place for our dog. If you take a dog with you on your holiday, you can also do this. Of course you can also have a dog in the camper. Do not use pillows, chairs and beds. 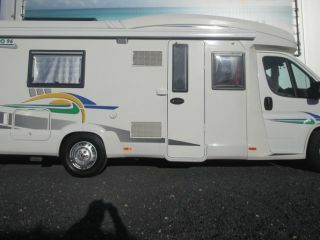 The camper also has a large awning, two large gas bottles (gas is included) and a cassette for the chemical toilet. 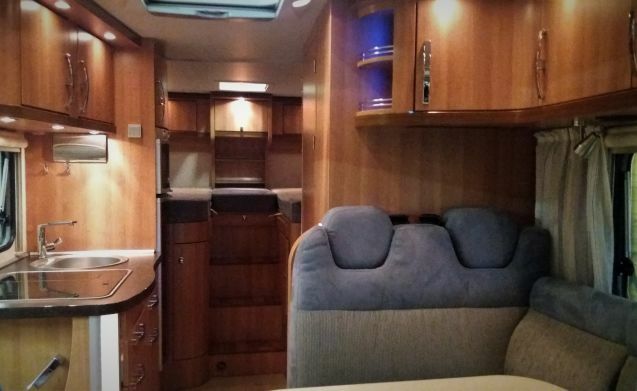 As you get the motorhome he weighs 3,050 kg and he can be loaded up to 3,500 kg. 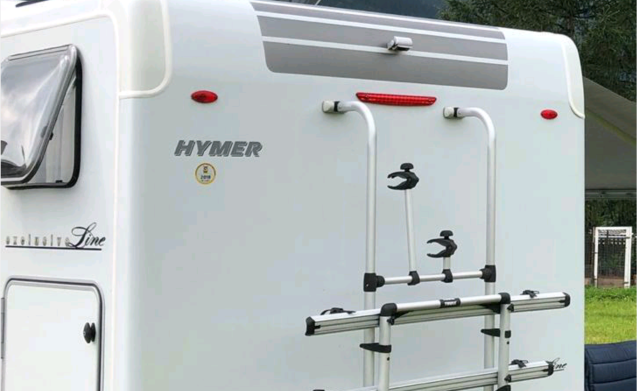 The Hymer has a cruise control, a power of 130 HP and can be driven with a B driving license. 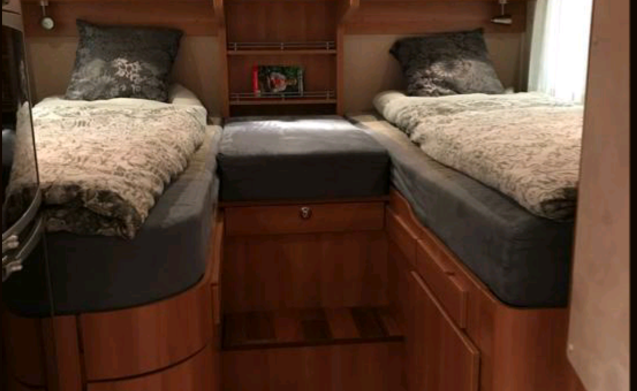 You can choose between two single beds of 80 cm wide with a gap of 50 cm or connect them with pillows to a bed with a width of no less than 210 cm. The length of the mattresses is 200 cm. 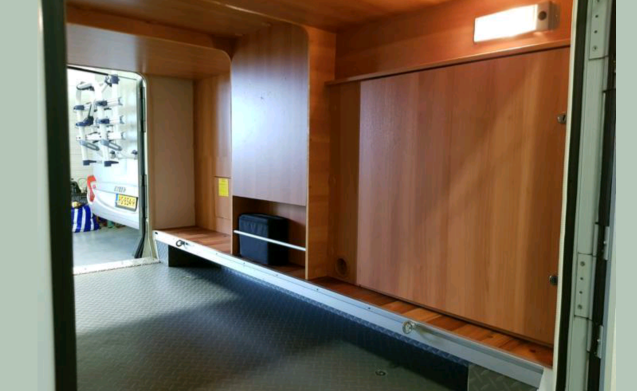 The headroom of the caravan is 200 cm. Complete inventory is available. You only need to bring your own bedding. You can park your car in our yard during your camper trip. 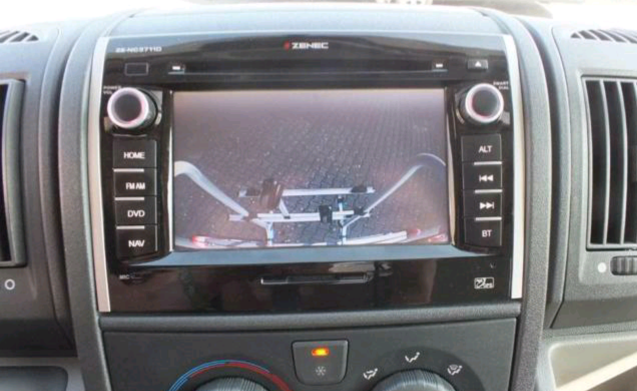 Safe and easy. If you have any questions, or would like to see the camper beforehand, please contact us! 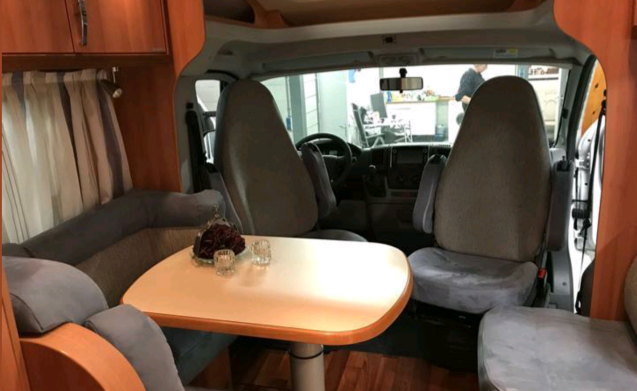 We can then explain everything about the camper while enjoying a cup of coffee or tea and if you want you can drive a bit with the camper. 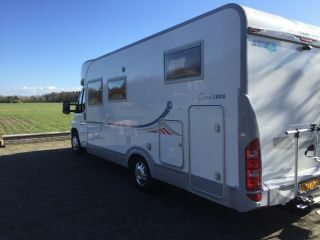 We expect the camper to be cleaned upon handover and the cassette of the toilet and waste water tank have been emptied. If you do not clean, we charge € 75 cleaning costs that we deduct with the deposit. 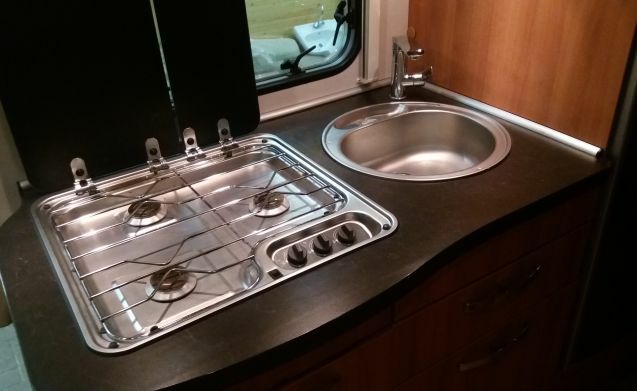 You get the camper with a full diesel tank and deliver it again with a full tank. More than 1 pet in consultation. 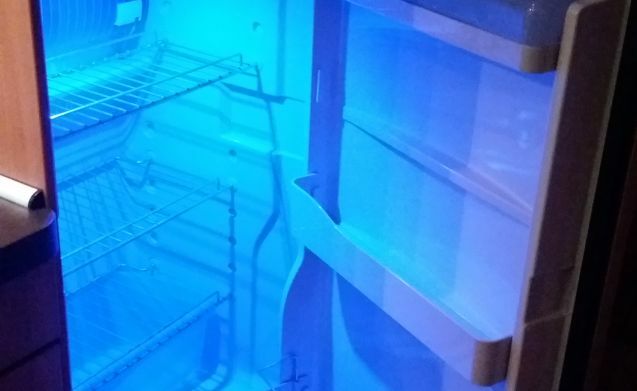 During high season minimum 7 days rent and the changeover days on Friday or Saturday.